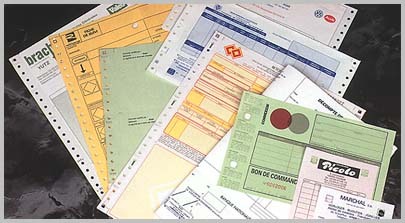 The Imprimerie L'HUILLIER was founded in 1969. The company is situated in Florange - Moselle (France) and has 22 staff. Numerous finishes are possible both in terms of the number of colours printed and the type of shaping. Plastic cards offer numerous possible uses : access and loyalty cards or cards for meals, membership, advertising, badges, etc. From a simple background to desensitised perforated statonary, whith holes or labels. The arrival of information systems in companies, research for systems that simplify the work and the sophistication of certain realisations have led the Imprimerie L'HUILLIER to propose supports for which several technologies enter the lists. Thus, labelling, perforations, cutting, multiple printing processes (silk-screen printing, flexography and offset) are now an integral part of all these comples printing methods.